Disclosing from the box, a front and rear differential and an adjustable center slipper equipped with big bore fully aluminium shocks, steel front CVD’s and steel dog bones transmission. A strong aluminium chassis and high racing sides guards guarantee the car a very high durability. A waterproof 50Amp esc and a high speed sensorless 3652 4600kv provide to the car an incredible speed potential. We even include a Lipo 2200 7,4V battery and charger. Just add 4pcs AA batteries for the transmiter and race it ! 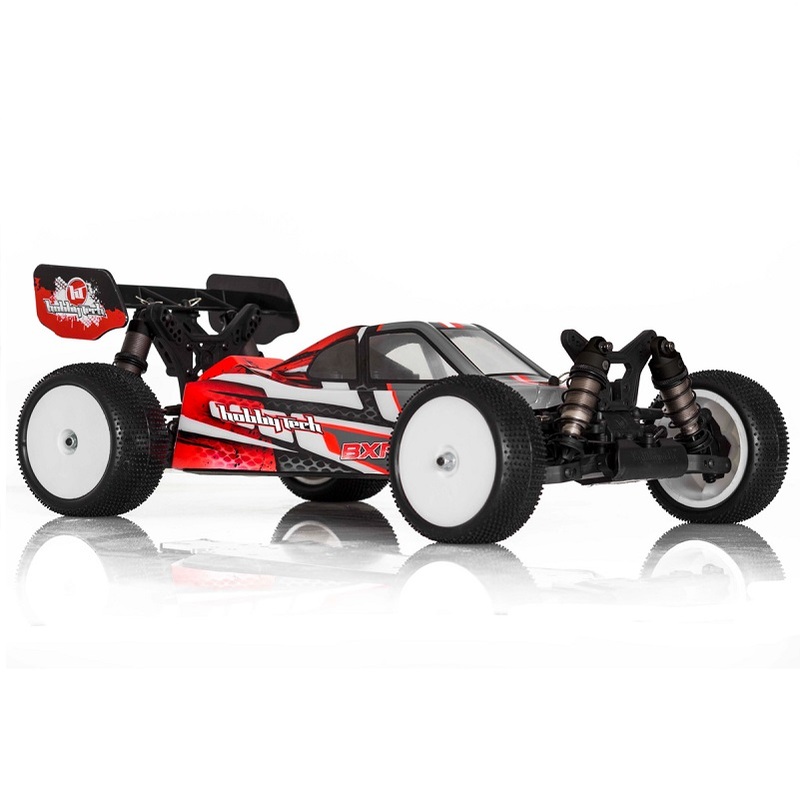 Simply the best RTR brushless car in the market !